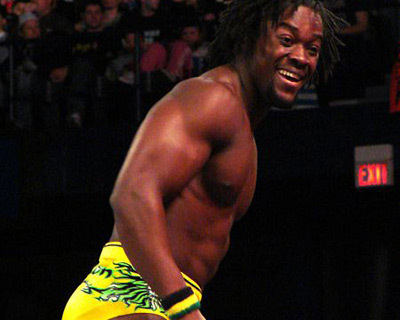 Kofi Kingston, immitation yardie to the core? Why are you? I couldn’t let Diane Abbott’s Sunday Observer column, The lure of brand Jamaica pass just so, without any comment regarding the mystique of the island name and people. Having read the column I would love to learn a bit more of Ms. Abbot’s impressions about this “brand Jamaica”, since like the phrase “dismantle the garrisons”, it sounds fancy and intriguing but with no clear-cut values. From time to time we speak and hear of Jamaica being “blessed”, and beam with pride when we travel the world and are afforded exceptional treatment when it is noted that we are Jamaican nationals. But do we ever give serious thought to what the island name conjures up for non-Jamaicans, and the possible reason for the allure in the island destination? Is the brand image a negative or a positive one? If positive, is it marketed as part of the island’s tourism advertising campaign? And does the current fearsome reputation of Jamaicans add flavor to the allure? Regarding the ‘blessing’, what current indicators provide evidence of this? Before we go patting ourselves on the back, what is it that makes this wrestler chose association with Jamaica in preference to his own homeland, Ghana? Ler’s see. We’ve been in the international spotlight for awhile, and for some positive reasons, namely sports. We have nailed the track and field category and have produced world-class athletes to watch in any international track meet, setting and breaking world records for speed. Our music, our food, our colorful language and personality as well as the drive to excel have traditionally been magnets that draw visitors and investors alike to our shores. But how does this reconcile itself to our less savory characteristics, paraded on the web for all to see? Is that reputation overwhelming what is considered the “brand”? What image does a professional wrestler seek to project, and what aspect of Jamaica’s reputation affords him the status he needs in the wrestling ring? When a lightning storm disrupted the internet service in my community a week ago, teams of repairmen were dispatched to attend to challenges telephone troubleshooting couldn’t handle. A fresh-faced mid-twenties youth I’ll call Brent was assigned to our area. When he heard the accent of our household and found out we were Jamaicans, he was beside himself with excitement. He would be going down to Jamaica in two weeks, he informed us, grinning in anticipation of his long-awaited vacation. He just couldn’t wait. Could we give him some tips on the best activities, where to go, and more importantly, where not to go? My sister wanted to know the reason for the last question. His understatement was swift. “Because I read on the ‘net that crime is a little out of control”. So why then, we asked, was he going into the “zone”? Brent explained that Jamaica had the best sensi anywhere (didn’t we know that? ), and that it was the only place he could relax on the beach and indulge himself. I’d heard that before, so I launched into my ten questions. Among the attractions, he said, were the people. Hospitable and warm, the serenity (of the all-inclusives), the intoxicating music that seem to “ooze from [our] pores”, and the spicy food. “But it is still common for young men from Africa and the rest of the Caribbean to pretend to be Jamaicans. They even adopt the patois. This is because (sadly) in their eyes Jamaicans have an unsurpassed reputation for violence and criminality. So pretending to be a Jamaican “Yardie” gives them status”. Ms Abbott writes “in their eyes” (my emphasis), but is it only in the eyes of these wannabees that Jamaicans are perceived thus? And with such a reputation, what “status” is accorded us? For our proclivities, are we to be admired, feared, reviled, ostracized, scorned, ridiculed, or all of the above? With the lure of the brand, why have some of our sister islands in the Caribbean imposed immigration restrictions on our citizens? Could this be the real reason the wrestler chose to be an occupational Jamaican? Does the island’s reputation for violence and criminality strengthen his aura of invincibility in the ring? Does the “Made in Jamaica” tag make him a more formidable opponent? Perhaps Kofi Kingston is the best person to ask.